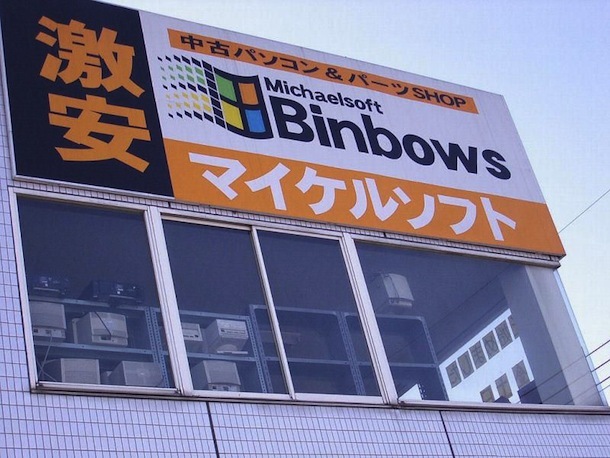 “Michaelsoft Binbows” is a computer store selling cheap PCs and computer parts. The sign in Japanese above the shop name is saying – “secondhand computers & parts”. 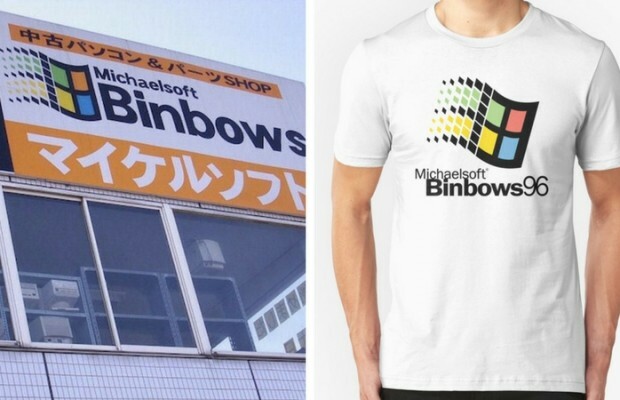 The name is not a simple rip-off of Microsoft Windows brand, but actually, it is a bilingual pun on the Japanese word “binbo” – in translation, it means “poor” which matches perfectly with the prices in the store of second-hand computer parts. PC Binbows sounds good actually, maybe even “slang good”. What do you think? Maybe we’ll start using it for all products that are worthy of such an appellation. 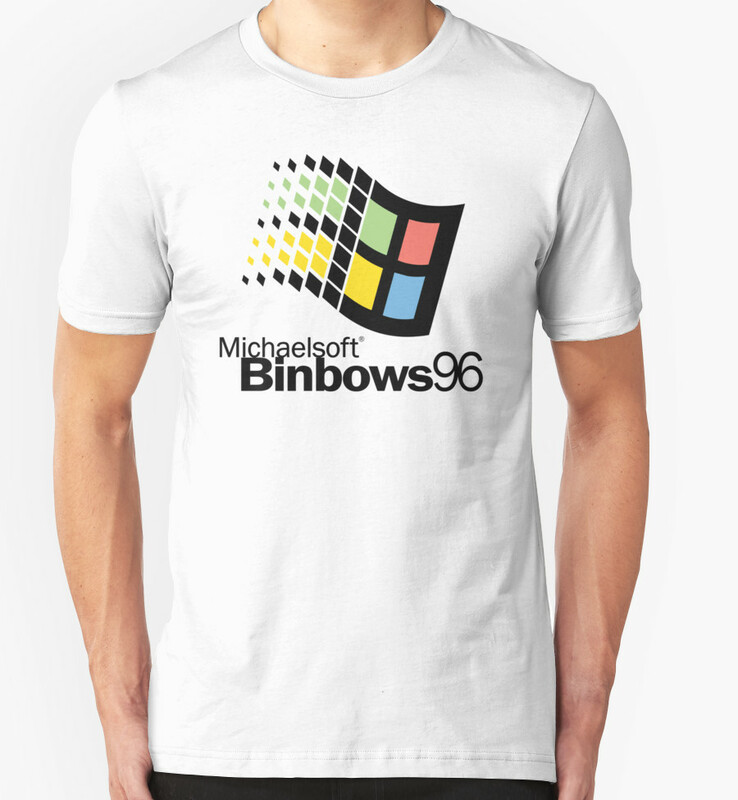 Do you find “Michaelsoft Binbows”funny? We think it’s hilarious! 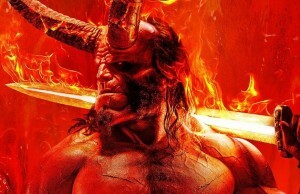 Maybe we’ll even get this T-shirt! 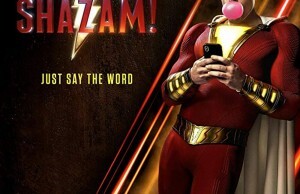 This little knock off brand is obviously taking advantage of the fact the Microsoft brand is one of the strongest brands in the world, and just by using similar graphics and a similar name, it can actually sell a lot of computers. 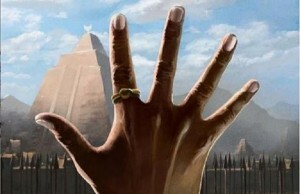 Does this give you any ideas? Maybe next we can create an ” bapple ” store that will sell cheap smart phones that look just like iPhones. Could be a multi million dollar idea right?